A once in a lifetime adventure…. 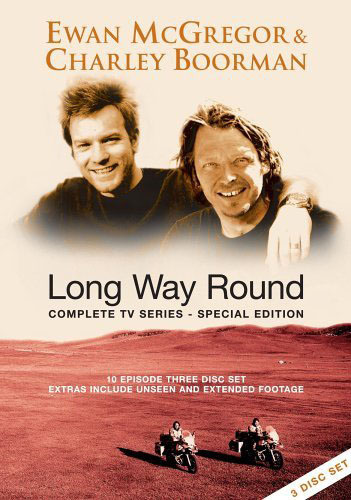 Setting off in London in April 2004, Ewan and Charley travelled through some of the most beautiful, and at times dangerous, terrain the world has to offer. Crossing over into mainland Europe, they rode through France, Belgium, Germany, Czech Republic, Slovakia, Ukraine, Russia, Kazakhstan, Mongolia, Siberia, Alaska, Canada before arriving 115 days later at their final destination, New York City, USA. 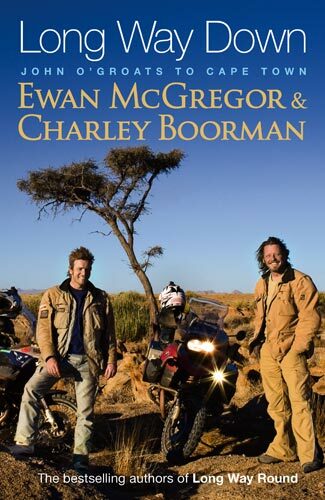 After circumnavigating the world on their epic journey,Long Way Round, Ewan and Charley couldnt wait for they next great biking adventure.Their new challenge took them from the northern-most tip of Scotland,John O’Groats down to the Southern-most tip of Africa,Cape Agulhas.Riding through Western Europe and Eastern Africa, the guys mixed their love of motorbikes with the irresistible lure of far-flung roads on the ultimate expedition, riding their BMW GS-1200 Adventures on any and all terrains. They stopped along the way to visit some of the most incredible natural and cultural wondres the world has to offer,saw African wildlife up close, and most importantly got to know the local people in the countries they visited.It’s the second journey of a lifetime for Ewan and Charley, and all the fans can share their motorbike travels with them through Lond Way Down. Περισσότερες λεπτομέρειες και για τα δύο ταξίδια μπορείτε να δείτε εδώ..